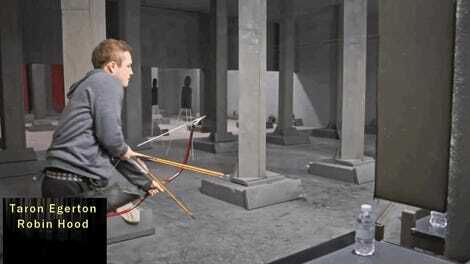 Robin Hood Ending Spoiler: Is Will Scarlet Batman's Two-Face? 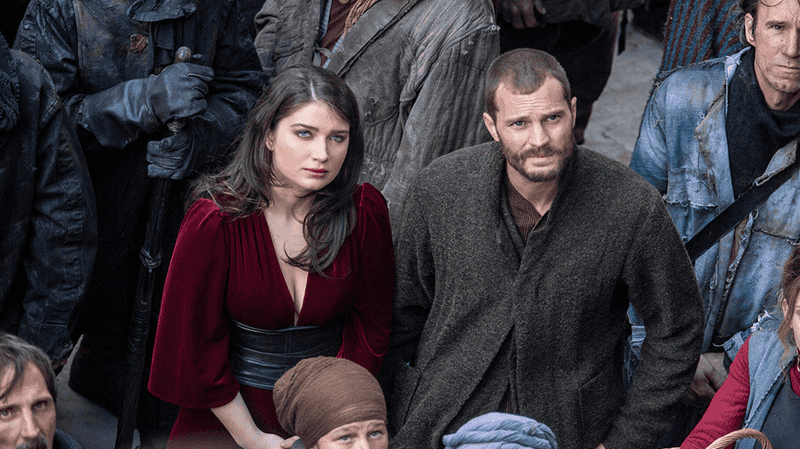 Marian (Eve Hewson) and Will Scarlet (Jamie Dornan) “fight” for the people. 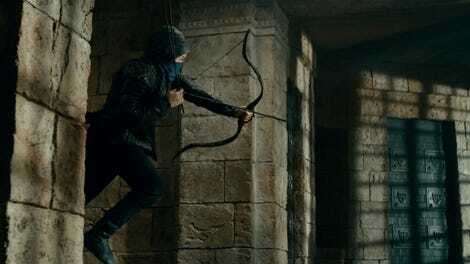 Robin Hood is a delightful disaster, a movie that would’ve been a fun ride if only it hadn’t taken itself so seriously. But the ending, which teases a sequel that will likely never come, is another evil entirely. In my review, I didn’t talk much about Jamie Dornan’s character, Will Scarlet. That’s because he doesn’t really matter—at least not to the main events of the film. In that hypothetical sequel, though, he matters plenty. Named after one of Robin Hood’s Merry Men, the film’s version of Will Scarlet is an “up-and-coming” politician for the common folk, who yearns to rise above his station and join the elite. Obviously, this makes no sense but within the context of the movie...yeah it doesn’t make sense there either. Let’s just say he mostly exists to be Marian’s new boyfriend and scoff anytime “The Hood” has an idea about something. The film originally presents Will as a good man, someone who speaks for the people and wants to help them. A White Knight, if you will. But as the movie goes on, that glimmering facade starts to crack a bit. It seems like Will cares more about his position than doing the right thing. He gets testy with Marian about her plans to steal some documents from the Sheriff of Nottingham, worried it’ll reflect poorly on him. Then, he argues against the Hood’s revolution, saying it would be more pragmatic to acquiesce to the Sheriff’s demands. He’s kind of a waffler, not sure what he should do. But in the end, Will sides with Robin—his girlfriend’s previous lover—to fight for his people and their freedom. Things are about to get...batty. Okay, now this is where things get interesting. 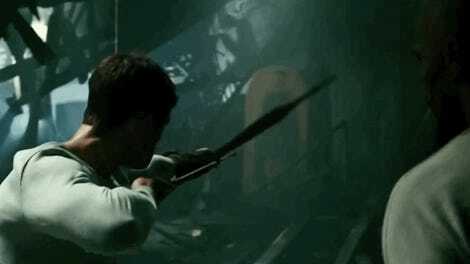 During the rebellion, Will’s having a grand old time, staring down soldiers and lighting a few fires. But then, he catches Marian kissing Robin. Will is pissed, and I feel for him. I really do. But given the circumstances, you’d think he would have the sense to move on to more urgent matters, like the giant war zone happening all around him. But no. Instead, Will dramatically drops his already-lit Molotov cocktail like he’s a Real Housewife with a half-empty wine glass. It causes a small explosion, sending Will slowly (and sadly) tumbling to the ground.